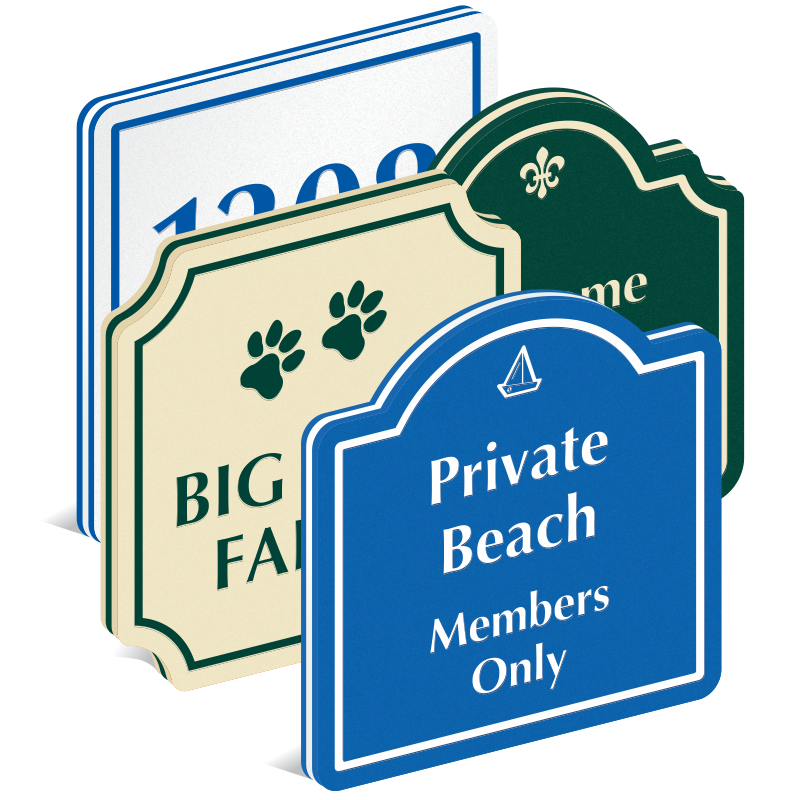 Our 18 inch x 18 inch square PermaCarve Sign is a blend of taste, distinction and class. 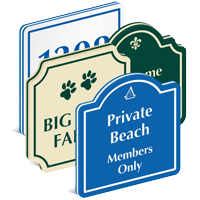 Plastic sign has three color layers that are permanently molded together. Text/design is routed exposing the core color. Choose a color scheme, corner shape, border option, motifs, font and much more on the next page. PermaCarve Sign 18" x 18"
Sign routed from 1/2" thick HDPE board. Inside color shows through. 20+ year outdoor life. Practically indestructible. Will not delaminate. Color and UV inhibitors embedded into plastic. Easy to machine or drill. Like plastic wood. Textured surface resists scratches. Maintenance free.